Senior couple in front of Christmas tree with presents. Senior couple in front of Christmas tree with VR goggles. 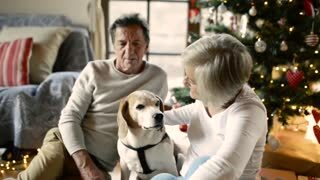 Senior couple in front of Christmas tree with dog and presents. 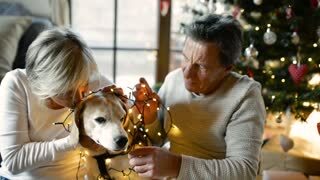 Senior couple in front of Christmas tree.